In case you haven’t heard, we have a 3D printing contest going on right now. It’s the Repairs You Can Print Contest. The idea is simple: show off how you repaired something with a 3D printer. Prizes include $100 in Tindie credit, and as a special prize for students and organizations (think hackerspaces), we’re giving away a few Prusa i3 MK3 printers. [Drygol] has made a name for himself repairing various ‘home’ computers over the years, and this time he’s back showing off the mods and refurbishments he’s made to a pile of Amiga 500s. This time, he’s installing some new RAM chips, fixing some Guru Meditations by fiddling with the pins on a PLCC, adding a built-in modulator, installing a dual Kickstart ROM, and installing a Gotek floppy adapter. It’s awesome work that puts all the modern conveniences into this classic computer. Here’s an FPGA IoT Controller. It’s a Cyclone IV and a WiFi module stuffed into something resembling an Arduino Mega. Here’s the question: what is this for? There are two reasons you would use an FPGA, either doing something really fast, or doing something so weird normal microcontrollers just won’t cut it. I don’t know if there is any application of IoT that overlaps with FPGAs. Can you think of something? I can’t. You know what’s cool? Sparklecon. It’s a party filled with a hundred pounds of LEGO, a computer recycling company, a plasmatorium, and a hackerspace, tucked away in an industrial park in Fullerton, California. It’s completely chill, and a party for our type of people — those who like bonfires, hammer Jenga, beer, and disassembling fluorescent lamps for high voltage transformers. A few shoutouts for Sparklecon. The 23b Hackerspace is, I guess, the main host here, or at least the anchor. Across the alley is NUCC, the National Upcycled Computing Collective. They’re a nonprofit that takes old servers and such, refurbishes them, and connects them to projects like Folding@Home and SETI@Home. This actually performs a service for scientists, because every moron is mining Bitcoin and Etherium now, vastly reducing the computational capabilities of these distributed computing projects. Thanks, OSH Park, for buying every kind of specialty pizza at Pizza Hut. I would highly encourage everyone to go to Sparklecon next year. This is the fifth year, and it’s getting bigger and better every time. Another month, another contest, and this time we’re looking for the best 3D printed repairs you’ve built. The Repairs You Can Print Contest on Hackaday.io is a challenge to show off the real reason you bought a 3D printer. We want to see replacement parts, improved functionality, or a tool or jig that made a tough repair a snap. Think of this as the opposite of printing low poly Pokemon or Fallout armor. This is a contest to demonstrate the most utilitarian uses of a 3D printer. Whether you fixed your refrigerator, luggage, jet engine, vacuum cleaner, bike headlight, or anything else, we want to see how you did it! The top twenty projects in the Repairs You Can Print contest will be rewarded with $100 in Tindie credit. That’s a Benjamin to spend on parts, upgrades, and components to take your next project to the next level! 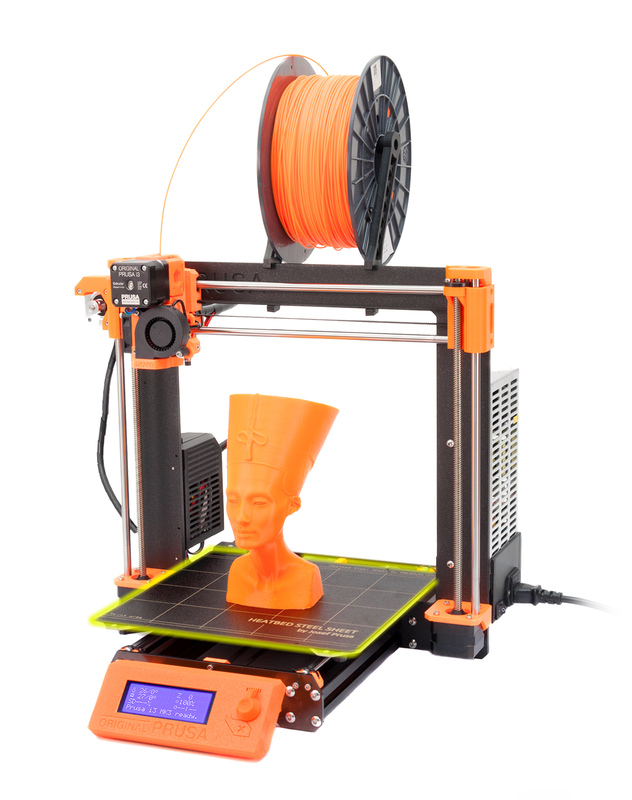 The Best Student and Best Organization will win a Prusa i3 MK3! This contest is open to everyone, but we’re also looking for the best projects to come from students and hackerspaces. We’ll be giving away two amazing 3D printers to the best Student entry and best Organization entry. These two top projects will be awarded an Original Prusa i3 MK3 with the Quad Material upgrade kit. This is one of the finest 3D printers you can buy right now, and we’re giving these away to the best student, hackerspaces, robotics club, or tool lending library. If you have a project in mind, head on over to Hackaday.io and create a project demonstrating your 3D printed repair! This contest is all about Repairs You Can Print, but what does that actually mean? Instead of printing Pokemon or plastic baubles on your desktop CNC machine, we’re looking for replacement parts. We’re looking for commercial, off the shelf items that were broken, but repaired with the help of a 3D printer. Is your repair good enough to show off as part of the contest? Yes! That’s the point, we want to see the clever repair jobs that people often don’t spend much time talking about because they just work. Need some examples? Sure thing. A while back, [Elliot Williams], one of the fantastic Hackaday Editors, had a broken vacuum cleaner. The wheels were crap, but luckily they were designed as a single part that snaps into a swivel socket. Over six or so years, the original wheels in this vacuum gave out, but a replacement part was quickly printed and stuffed into the socket. The new wheels have been going strong for a year now. That’s an entire year of use for a vacuum for five cents worth of plastic and an hour’s worth of printing time. A 3D printed wheel on my luggage. The original was destroyed at either ORD or PHL. Need another example? My suitcase was apparently dragged behind a luggage cart for miles at either ORD or PHL. 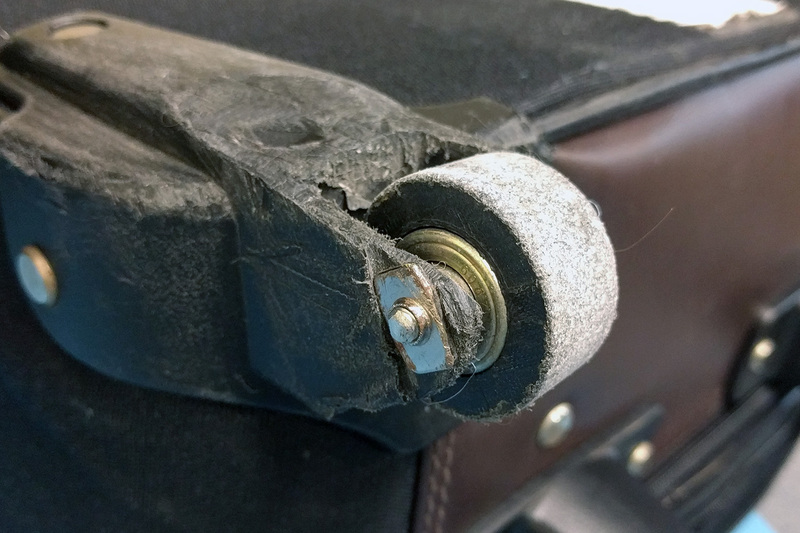 When it arrived on the baggage carousel, one wheel was shredded, and the wheel mount was ground down to almost the axle. The rest of the bag was still good, and I just removed the old wheel, salvaged the bearings, and printed a new wheel out of PLA. 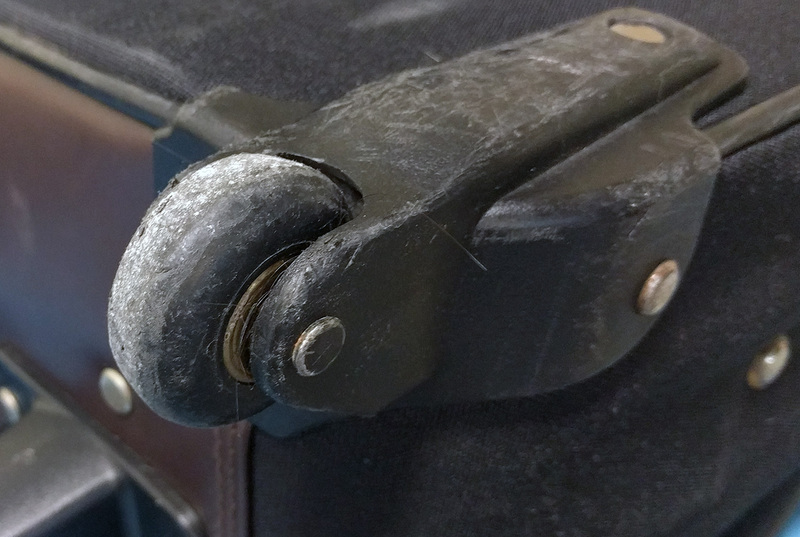 This suitcase has now traveled 60,000 miles with a 3D printed wheel, and it’s only now looking worse for wear. We’re looking for the best repairs, jigs, and tools you’ve ever printed. To get started, head on over to Hackaday.io, create a new project, and document your repair. The Repairs You Can Print contest will run from Tuesday, January 16th, 2018 through 12 PM PST Tuesday, February 20th, 2018. Here’s a handy count down timer for ‘ya. The Hackaday Superconference was last weekend, and it was the greatest hardware con on the planet. What can you build out of a conference badge? If you answered “a resin-based 3D printer” you would have won a prize. If you decided to put your badge in a conference water bottle and make a stun gun you’d receive adoration of all in attendance. Yeah, it got that crazy. Yes, there’s a Supercon badge in that bottle and it’s now a stun gun. At other tech conferences, you’ll find gaggles of nerds sitting around a table with MacBooks and Thinkpads. The Superconference is different. Here, you’ll find soldering irons, tackle boxes filled with components, and loose WS2812s scattered about the floor. The smell of solder flux wafts through the air. You detect a hint of ozone. The depth and breadth of hacks that came out of this were simply stunning. We a binocular virtual reality hack, an internet trolling badge, blinky add-on boards, audio add-on boards, a film festival was shot on the badge, and much more which you’ll find below. We have started a Badge Hacks list and want to see details of all of the hacks. So if you were at Supercon be sure to publish them on Hackaday.io and send a DM to be added to the list. To get all of this creativity rolling we did something a bit different for this year’s Superconference. Instead of opening the doors up on Saturday morning, we set up a badge hacking area and party on Friday afternoon. The drinks flowed like the meniscus on a properly soldered lead, and by 2pm on Friday, everyone was hacking firmware on the incredible camera badge for this year’s con. We didn’t stop on Friday. The Superconference is a hardware hacking conference, and that meant we brought out the soldering irons, experimented with melting aluminum with gallium, reflowed a few boards, and created a few deadbug LED cubes. This went on all weekend. They say that there’s more to a Jackson Pollock painting than randomly scattering paint on a canvas, and the auction value of his work seems to verify that claim. If you want to create some more conventional artwork, however, but are missing the artistic muse that inspired Pollock, maybe you can put your creative energies to work building a robot that will create the art for you. [Dane Kouttron] was able to get his hands on an old SCARA robotic arm, and was recently inspired to create a paintbrush-weilding robot with it for the 2nd Annual Robot Art competition. Getting one of these ancient (circa 1983) robots working again is no easy task though. [Dane] used LinuxCNC to help reverse engineer the robot’s controls and had to build a lot of supporting hardware to get the extremely heavy robot to work properly. The entire process took around two months, and everything from color selection to paint refill to the actual painting itself is completely automated. Be sure to check out the video after the break to see the robot in action. The writeup goes into great detail about the robot, and includes everything from reverse engineering the encoders to auto-cleaning a paintbrush. If you don’t have a SCARA robot arm in your parts drawer, though, there are lots of other options to explore for robot-created artwork. [Justin Cole] was looking for the perfect birthday gift from for his wife. After some pondering, the answer fell from the sky in the form of a meteorite. The problem was how to present it. They don’t exactly make meteorite gift boxes, so [Justin] decided to build one of his own design. The box has a Russian space age theme reflecting the meteorite’s country of origin. The theme also made it a perfect entry for Hackaday’s Sci-Fi contest. The gift box started life as an old steel film reel box. Some of us may still have boxes like this in our basements, protecting old 8mm family movies. [Justin] modeled the box in Solidworks, then added in his custom modifications. An angled walnut platform forms the stage. In the center of the stage is a 3D printed cone. The meteorite itself sits on a platform in the middle of the cone. A magnet keeps the iron meteorite in place. A Neopixel ring provides indirect lighting below the meteorite. The ring is controlled by an Arduino, which also drives a couple of vibration motors. The motors create a hum in time to the changing colors of the ring. The whole package creates a neat way to present a rock from space. We really like that [Justin] didn’t go over the top with sound effects, smoke, or bright lights. More importantly, [Justin’s] wife loved it, and couldn’t wait to share a video of the box with her friends. It’s not to late to get in on the Hackaday Sci-Fi contest action. You have until Monday evening to enter your own creation. Hackaday.io just welcomed the 200,000th registered user! We are the world’s largest repository of open hardware projects and Hackaday.io is proving its worth as the world’s most vibrant technology community. This is where you go to get inspiration for your next project, to get help fleshing out your product ideas, to build your engineering dream team, and to tell the tales of the workbench whether that be success, failure, or anything in between. Over the past six months, as we’ve grown from the 150k member milestone to this one, our movement has enjoyed ever-increasing interaction among this amazing group of people. Thank you for spending so much time here and making Hackaday.io a great place for everyone! It’s always great when you can watch a conference talk or interview online. But if you weren’t there in person the opportunity for meaningful interaction has already passed. With this in mind, we’ve been inviting experts from numerous fields to host discussions live in the Hackaday.io Hack Chat room. This is a great way to further our goal of forming a global virtual hackerspace. It’s common to have talks and workshops at a hackerspace, where you can not only learn from and ask questions of the person leading the event, but meet others who share your interests. This has happened time and again with recent guests including Bunnie Huang who talked about making and breaking hardware, a group of Adafruit engineers who discussed their work extending the MicroPython libraries, Sprite_tm who covered the continuing development of ESP32 support, and many more. 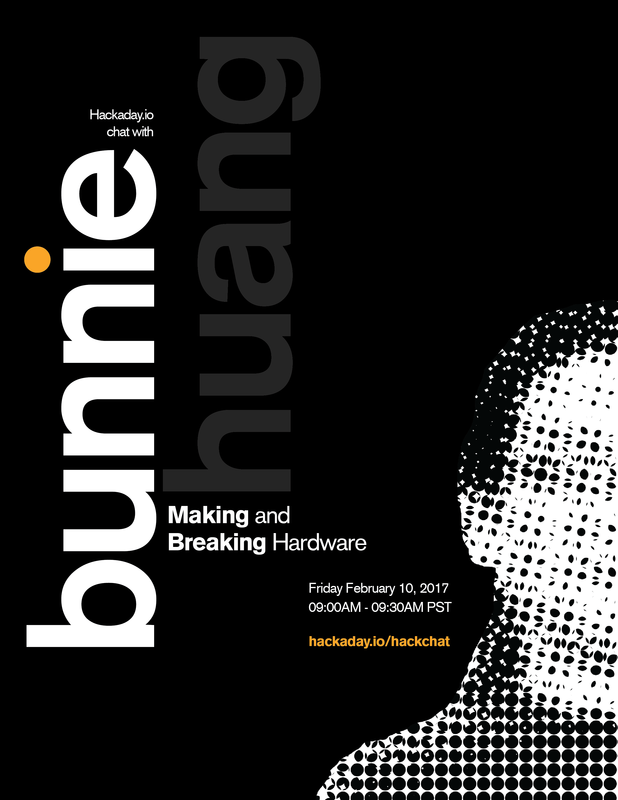 This Friday at Noon PST Hackaday’s own Jenny List will be leading the Hack Chat on RF Product design. See you there! It’s pretty amazing to see a guide on building a smartphone for $50 in parts. If that exists anywhere, it’s probably on Hackaday.io — and it’s actually pushing about 80,000 views so far! Arsenijs is a regular around these parts and his ZeroPhone — a 2G communications device based on the Raspberry Pi Zero — is a project that he’s been updating as his prototype-to-production journey progresses. It has a big team behind it and we can’t wait to see where this one goes. Working on your own is still a great way to learn and we see all kinds of examples of that. Just4Fun is learning the dark arts that went into early personal computing with a $4 project to build a Z80 system on a breadboard. We revel in the joy of seeing great hardware art come to life. FlipFrame is a great example; it’s a digital picture frame project that goes far beyond that simple description. It rotates the entire screen to fit the layout of the image while showing off all of the hardware that makes this possible rather than hiding it away inside a case. In addition to our registered users milestone, we’re just about to pass our 20,000th published project. There are so many projects to celebrate and draw inspiration from, and that collection grows every day! This winter we’ve seen a ton of interest in the build contests hosted on Hackaday.io. Of course, nothing can compare to the reach of the Hackaday Prize, our worldwide engineering initiative that challenges people to Build Something That Matters. The 2016 winners were announced in November; even so, people have been tripping over themselves to get a project built for the numerous contests we’ve hosted since then. Of note is the 1 kB Challenge — a contest dreamed up by our own Adam Fabio which challenged entrants to build an embedded project whose compiled code was 1 kB or less. It was a joy to dive into the entries for this and it will certainly return again. Running right now is the revival of my favorite build contest: the Hackaday Sci-Fi Contest. Bring your favorite Sci-Fi tech to life — it just needs to be recognizable from a book, movie, or TV show and include some type of electronics. Some of my closest friends in life were first met online. But eventually, you just want to hang out in the same room. This is becoming more and more common with Hackaday.io. In November we celebrated our second Hackaday SuperConferece where hundreds of people who love hardware creation gathered in Los Angeles for two days of amazing talks, workshops, and hands-on hacking challenges. This is a good one to add to your calendar but tickets do sell out so consider some other options. We have regular meetups in LA and New York. If you are ever traveling there, make sure to look up the schedule and see if it can be part of your trip. Perhaps the most interesting was World Create Day. In 2016, we had 80 groups across the world plan meetups on the same day so that the Hackaday community could hang out in real life. We’re not ready to share the details quite yet, but you should plan for that to happen again this year. Something to look forward to!